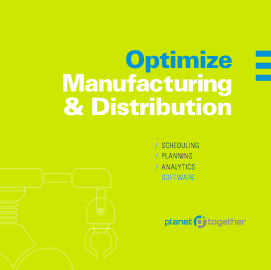 Manage production capacity and constraints to deliver on-time and run efficiently. No need to email files back and forth—when a change is made, the appropriate parties are notified via the appropriate channels. Know which processes and materials are holding up production and have more realistic estimates on ship dates. Schedule and re-schedule around your constraints in seconds, automatically, with a single click. 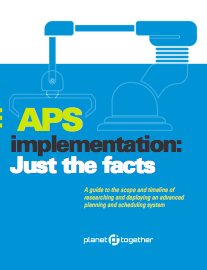 An advanced scheduled and planning system massively cuts down on robotic tasks for planners and schedulers. Check out a demo of the Planet Together APS solution today!